Intel is taking more steps to provide what it calls “wire-free” computing by 2016, a plan the company first talked about publicly in June at the Computex trade show. 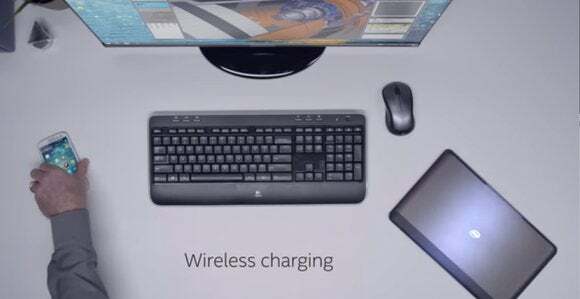 The company is developing a smart dock through which laptops can wirelessly connect to monitors and external peripherals, it said in a blog entry. The dock will remove the need to plug HDMI or DisplayPort display connectors directly into laptops. The wireless dock will provide USB 3.0-like speeds to transfer data to external peripherals. “When you walk in the office with your laptop, it will automatically link with your wireless-enabled monitor or projector to deliver an HD streaming experience without the hassle of plugging into your HDMI or DisplayPort,” Intel said. The chip maker is also developing technology so wireless monitors automatically start and link up when laptops are within a specific distance. Intel calls this “proximity-based peripheral syncing” technology. Intel demonstrated the technology in a video accompanying the blog post. Users could also log on with face recognition, without the need to touch the keyboard. Intel has said most of its wire-free computing will be based on WiGig, a fast-growing wireless data transfer technology. WiGig is considered faster than the latest Wi-Fi technology. Intel is also considering WiGig to connect wireless keyboards and mice to laptops. The company also wants to get rid of power adapters and is developing wireless charging technologies for laptops. Intel at Computex showed laptops charging on a table equipped with a charging pad based on A4WP’s Rezence magnetic resonance technology. Intel will talk about wire-free computing for business PCs at the Intel Developer Forum next month in San Francisco. The company will share details about wireless docking and displays as part of vPro, Intel’s platform for managing PCs remotely. Intel wants to make laptops easier to use, so they are more like smartphones and tablets, said Dean McCarron, principal analyst at Mercury Research. The wire-free development also underscores the importance of WiGig, with more companies investing in the technology, McCarron said. Qualcomm last month purchased Wilocity, which develops WiGig technology, for an undisclosed amount. Qualcomm will put WiGig in its Snapdragon mobile chipsets so smartphones and tablets can wirelessly stream 4K video to external displays. Wireless charging will be a big deal for laptops, but it’s not clear which technology will win, McCarron said. The competing wireless charging technology to Rezence is Qi, which was developed by the Wireless Power Consortium.